Wondering where to cash a personal check near you? 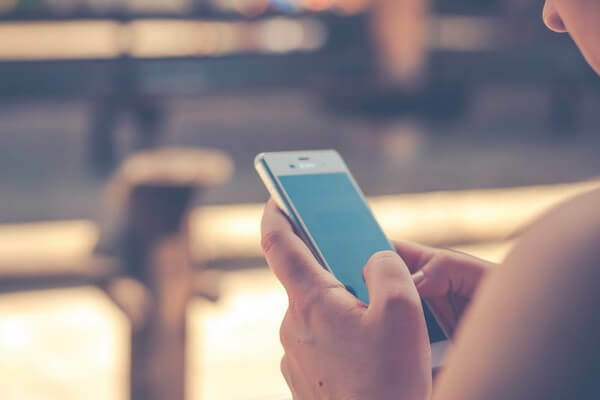 Payment platforms like PayPal and Skrill, direct deposit, and debit/credit cards may be popular payment methods, but checks are far from obsolete. In fact, many businesses, companies, organizations still use them. You may have a received a paper check from a side gig or rewards website, like TreasureTrooper, for example. Or you might have gotten a check from a company for a mail-in rebate, or have received one from a relative for your birthday, a holiday or other special event. Whatever the reason, if you have a personal check, then you’re probably wondering how to cash it so you can get the money. In this post, we cover stores that cash personal checks, how to do it without a bank account, places where you can cash a variety of different checks and much more. An important note before we begin though; to cash a check, regardless of where you do it, you’ll need to have some proof of ID with you, such as a government issued identification card, a state driver’s license or a passport; some places may accept other forms of ID. Just check with the place before you go to cash your check. If you don’t want to pay a fee to cash a check made out to you, your best options are your banks or credit unions that you are a member of. We’re going to start with the obvious one here; your local bank or credit union. If you have a bank account, then taking it to your nearest bank is the best option, because it’s usually free to cash a check if you’re an account holder and one of the easiest and fastest ways. So if there’s a branch near you, then do consider going there. If you don’t have a bank account, then consider opening one. Or, join a credit union instead. Want to know how to cash a personal check without a bank account? There are many reasons why you would look for other places besides banks to cash your check. According to a survey from the FDIC, 6.5% of Americans were unbanked, meaning they didn’t have a checking account or savings account, in 2017. And there are times when you need to cash a check today but the banks are closed like on a Sunday or Holiday. Fortunately, there are ways to cash a large or small check besides the bank. If you don’t have a bank account, then one of the easiest ways to cash a personal check is to visit the bank that issued the check. Compared to some options, visiting the issuing bank can be a cheaper and quicker option. Plus, certain banks have a higher cashing limit than some of the other options on this list. Generally, you’ll find the name of the issuing bank on the bottom left corner of the check, above the memo line; have a good scan of the check if the name doesn’t appear there. Let’s say the bank that issued the check is JP Morgan Chase & Co, then you may be able to go to a JP Morgan Chase & Co to cash it. Most banks have a branch locator tool on their website that you can use to find your nearest branch, or they’ll have a list of branches. So do visit the website of the issuing bank if you’re unsure of your nearest branch. In terms of the cost of cashing a check at the issuing bank; it varies. Many banks do charge fees for check cashing if you aren’t an account holder. Plus there can be other restrictions, like hold times. Each bank has different fees and terms for non-customers who want to cash checks, so call your local branch or visit its website to learn whether or not you’ll pay a fee and what the terms and restrictions, if any, there are for cashing a check. Consider endorsing your check to a friend or family member who can cash it for free. Endorsed checks are also called “third party checks”. To endorse a check, you need just need to write on the top line, on the back of the check “pay to the order of [insert name].” Then sign the check underneath the endorsement. You will likely have to accompany your friend or family member to the bank to verify your identity. Each bank has its own policy for cashing endorsed checks. For example, some banks might ask you to complete a form to confirm that your friend has permission to cash your check. And some banks don’t accept third-party checks. Just check online or call the bank to learn about the requirements. Okay, so that’s banks out of the way. They’re certainly not your only option though when it comes to cashing a check. If you’re wondering “does Walmart cash personal check?”, the answer is yes. Walmart isn’t just one of the best places where you can cash a money order. 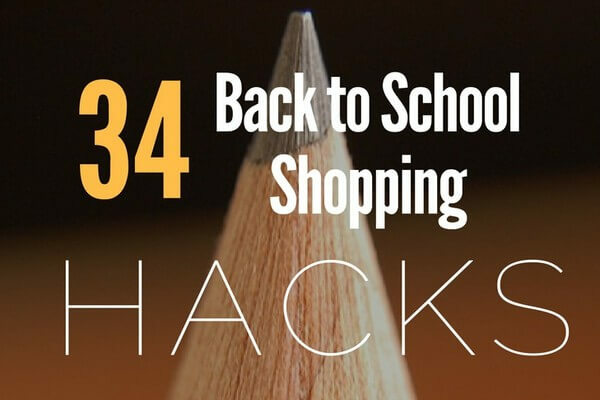 You can also cash your check at the store. It’s not free, but it is a quick and easy way to get the cash! Since there are so many Walmart locations, it’s a convenient method too. A $4 fee for checks up to and including $1,000. For checks that are worth $1,000 and up to and including $5,000 the fee is $8. You get the cash instantly, which is great. All other checks are limited to $5,000 or $7,500 from January to April. Visit your local Walmart store. Visit a customer service desk or Money Services center and cash your check. You’ll receive the money in cash or you can load it onto a Walmart MoneyCard (reload fee is waived). This is definitely one of the easiest ways to cash a personal check if you don’t have a bank account. Find your nearest Walmart here. Walmart is not the only store that cash checks. You may be able to do it at your local Stop and Shop. Stop and Shop accepts a range of checks, but like with some of the other stores on this list, there are checks that it doesn’t accept, such as postdated or predated checks, handwritten or hand typed payroll checks, and two-party (or more) personal checks. Find your nearest Stop and Shop store here. Many Hy-Vee stores offer check cashing in store. Just give your local store a call to see if it offers check cashing, and what types of checks it accepts, and to learn about the cost of cashing a check and the ID required. Publix offers a check cashing service at all of its stores. At Publix, you can cash personal and payroll checks. Find your nearest Publix store here. You can cash checks at Kmart. Here are the types of checks you can cash at Kmart, and the limit for each type of check. It costs $1 or less to cash a check at Kmart, so it’s definitely one of the best places to cash a check without a bank account, and in general in terms of cost. Find your nearest Kmart store here. If you get a Transact Prepaid MasterCard from 7-Eleven, then you can load checks right onto it. You’ll need the Transact by 7-Eleven app to do so. Download Transact for iOS devices here. Download Transact for Android devices here. With this app, you can take a photo of your check, using your phone, and then have the balance deposited onto your Transact Prepaid MasterCard. Through Money Services, you can cash checks at some Kroger locations. Although Money Services says it does not accept personal checks (or starter checks and third-party checks), you can still cash a variety of checks through this service. Fees start at $3 with Shopper’s Card for checks up to $2,000. Fees, with a Shopper’s Card, for checks between $2,000.01 and $5,000 are $5.50. Use this tool to find a Kroger store near you that offers Money Services. If you’re wondering” where can I cash a personal check besides a bank?” and don’t mind doing it with an app, Ingo Money is a good option. What’s great about this app is that you can get your money in minutes to your bank account, PayPal account, or prepaid card account, you can use it to pay your credit card or you can put the money onto an Amazon.com gift card. Download Ingo Money for iOS devices here. Download Ingo Money for Android devices here. Then you’ll need to link the card or account where you want to send the money, such as your PayPal account, debit card or prepaid card. To cash a check, you need to take a photo of the front and back of the check and then submit it for review. Once it’s been approved, then you’ll get the money. Ingo Money makes it so much easier to cash checks because you don’t even need to leave the house! NetSpend offers a range of prepaid debit cards. One of the best features of NetSpend prepaid cards is the ability to cash checks. With NetSpend, you can cash checks right onto your card using a feature called Mobile Check Load. You can use this through the NetSpend Mobile app. Download NetSpend for iOS devices here. Download NetSpend for Android device here. All you need to do is upload some photos of the check and then submit it for approval. This is another app, from banking company Green Dot, which allows you to cash checks right from your phone. You’ll need to have a prepaid card from Green Dot, which you can learn about here. Download Green Dot for iOS devices here. Download Green Dot for Android devices here. WinCo Foods is another grocery store that cashes checks. A $5 fee is charged for payroll checks that are worth up to $500. For checks worth $500 to $1,000, there’s a $10 fee. WinCo doesn’t accept some types of checks, like two-party checks, so phone your local store to ask about the type of check you have if you’re unsure whether they’ll accept it. Find your nearest WinCo foods store here. Giant Eagle offers a check cashing service. You’ll need to have a Giant Eagle Advantage Card to cash a check though. The name on the check must match the name on the Giant Eagle Advantage Card account. You can cash a personal check at the customer service desk with a valid Giant Eagle Advantage Card. Find your local Giant Eagle store here. Can You Cash a Check with Insufficient Funds? 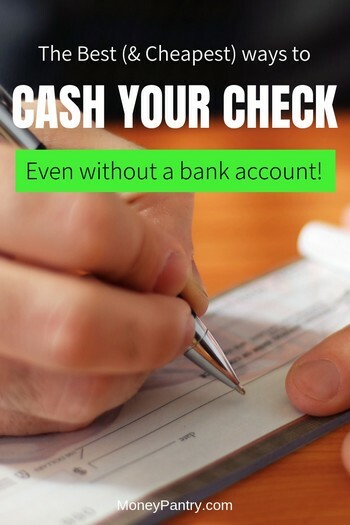 When researching for this post, one of biggest questions when it comes to check cashing seems to be whether or not you can cash a check that has no fund to cover. Normally, you won’t be able to cash a check with no fund behind it. That said, if you go to a bank other than the check writer’s own bank, you may be able to cash it. Because that bank won’t know whether or not the person who wrote the check has enough funds to cover it. Once the check bounces, the bank usually charges the originator bank which in turn charges the check writer a penalty fee. Of course, you don’t want to knowingly cash a bad check without insufficient funds. If you do, you may have to deal with penalties. You can learn more about this and other related issues, by reading the Overdraft Fees and Protection Answers from the OCC. There are so many places where you can cash a check. So even if you don’t have a bank account or a branch nearby that’s convenient to visit, you can still get the money. If you don’t have a bank account, consider opening one – otherwise, you’ll have to pay fees each time that you want to cash a check. And, places other than banks tend to have restrictions on the value of checks they’ll cash, with many capping at $500 to $1,000 dollars. So it can be worth opening up a bank account. Checks can seem a little annoying, but there are more places out there than you’d think where you can conveniently cash them. And, the fees charged for cashing them aren’t too high either.